The best ways to remove fluoride from drinking water are with any good reverse osmosis unit or steam distiller. Both products remove a high percentage of fluoride by their nature and do not need specialty filters. The Enhanced Performance Fluoride Filter uses the best fluoride resin we can find (Resin Tech’s SR-900) and puts it to work under the very best of conditions. For fluoride filters to be effective, it is necessary that water pass through the fluoride medium very slowly. Slowly, as in no more than 1/4 gallon per minute. That’s about a third the normal delivery speed for a standard countertop or undersink water filter. The Enhanced Fluoride Filter slows the water down in the fluoride cartridge, then allows it to run full speed through the carbon filters that accompany it. The result is optimal fluoride performance and normal delivery speed at the faucet. The Enhanced Performance Fluoride Filter uses a standard reverse osmosis tank to store fluoride-free water for fast delivery to the faucet. Third best fluoride removal strategy, and certainly not a bad choice, is with standard undersink or countertop filtration units with the same high quality cartridge as the fluoride filter. 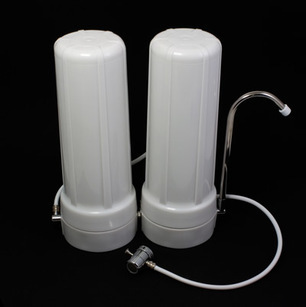 Fluoride treatment, to be done well, requires at least a double canister filter—one for fluoride and the second for chemical/taste/odor reduction. We have a single cartridge that contains half fluoride resin and half coconut shell carbon for our Model 77 countertop, but a double filter with full carbon and full fluoride cartridges is much preferred. With conventional fluoride filters,both countertop and undersink, the user can, of course, run water slowly and achieve “enhanced performance” as with the special filter described above. 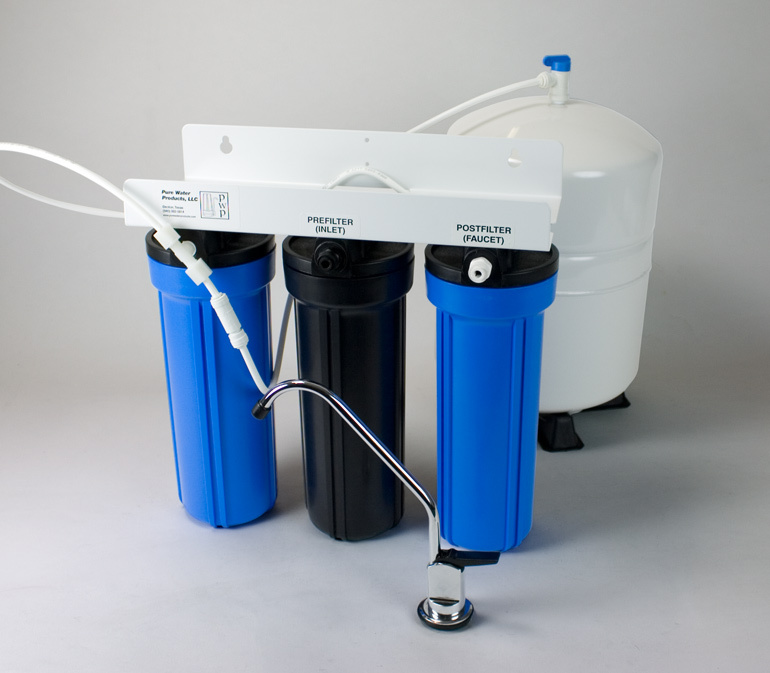 A double countertop filter can be an effective fluoride remover when one housing contains a fluoride removal cartridge and the second contains a carbon block cartridge. We use only two fluoride removal methods—reverse osmosis, the best, and standard fluoride resin (activated alumina). We do not use bone char carbon that is sold on some internet sites. We like to think we have too much class.